Home / Blog / Unconscious Bias - What is it and what can we do about it? It is often said that most of us have 5-6 categories into which we place all of the people we meet. We subsequently ‘harden the categories’ by looking for all of the signs and signals that confirm the initial stereotype and by ignoring the ones that don’t. In serving and satisfying customers, recruitment interviewing and in developing relationships with colleagues this approach can be extremely limiting. Beware the person who says “I am a great judge of character’ and forms instant opinions about people - they are often the worst offenders. 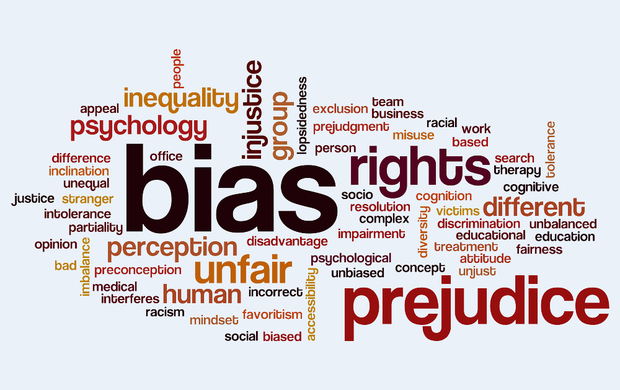 Our implicit biases are often influenced by our background, cultural environment and personal experiences, and we may not even be aware of these views and opinions, let alone understand the implications and impact that these instinctive rulings provoke. How does unconscious bias impact our business? Unconscious bias heavily influences our decision making, particularly when it comes to recruitment and selection, in a range of different ways from who we invite for an interview, how we interview them to selecting the successful candidate. It can also affect how we perceive people, how we listen to people and the attention that we give to people. We may favour people that we have an affinity with; those who have a similar background or interests to us, those from the same era or same ethnicity or even those that remind us of someone we know and like. This is known as affinity bias. The Halo Effect is another type of unconscious bias that we regularly encounter. This is where a positive trait is applied to someone without actually knowing anything about them. For example, someone who dresses conservatively may instantly be recognised as someone who is likely to be more capable in an office environment, without even knowing the extent of their skills or personality. The Horns effect is the exact opposite of the Halo effect, letting one negative perception cloud our opinion of their other attributes. This is when we develop the opinion that the most handsome individual or someone with other physical attributes may also possess other socially desirable personality traits. This occurs when our opinions reflect those of our peers. For example, if an individual feels that their group is leaning towards or away from a particular candidate, they will tend to go along with what the group thinks. These are just a few example of the types of unconscious bias we encounter. Whether we are aware of them or not, our biases affect our decisions across recruitment, promotion, staff development and recognition and can ultimately lead to a less diverse workforce. To overcome unconscious biases, we must first be aware of what they are and develop plans to eliminate them. We need to be honest with ourselves and think about the stereotypes that affect our decisions. How and why people are biased. How unconscious bias can impact on the workplace and working relationships. What we can do to reduce or eliminate bias from our decision-making process. How to address bias in particular situations, such as recruitment and performance management. Book your free preview now, or call 0121 222 5599 or email paul@wrightsolutionsltd.com to discuss your corporate requirements. Book your free preview now!